A HIGHLY placed member of Elon Musk's electric car company Tesla has reportedly been caught sabotaging production-line computer code, leaking secret data to "unknown third parties" - and possibly causing fires. 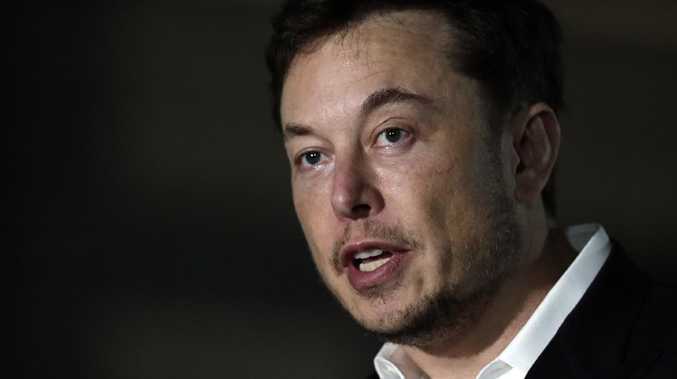 US news service CNBC reports Tesla CEO and chairman Elon Musk has sent an email to employees overnight, explaining that the electric car production line had to be stopped at the weekend due to a "small fire". It's just the latest in a string of fires that have broken out at the plant since 2014. It followed a slightly earlier email in which he claimed he had identified a saboteur embedded within Tesla. "I was dismayed to learn this weekend about a Tesla employee who had conducted quite extensive and damaging sabotage to our operations," Musk wrote in an email dated 11.57pm, June 17 (US time). "This included making direct code changes to the Tesla Manufacturing Operating System under false usernames and exporting large amounts of highly sensitive Tesla data to unknown third parties." "The full extent of his actions are not yet clear, but what he has admitted to so far is pretty bad. His stated motivation is that he wanted a promotion that he did not receive. In light of these actions, not promoting him was definitely the right move." Just hours later, Musk was again at the keyboard reporting to staff his suspicions about a weekend production line fire. "Late last night we had another strange incident that was hard to explain," Musk wrote. "Small fire on the body-in-white production line. No one was in the area and there were no injuries or significant equipment damage, but it was enough to stop the body production line for several hours." Musk then took a turn towards paranoia. "Could just be a random event, but as Andy Grove said, 'Only the paranoid survive.' Please be on the alert for anything that's not in the best interests of our company. If you aren't getting a response from the emdesk email, please send me a note directly." It's not the first time Musk has blamed sabotage for his business troubles. In 2016, after one of his SpaceX rocket prototypes exploded, he instructed the company to investigate the possibility of sabotage. 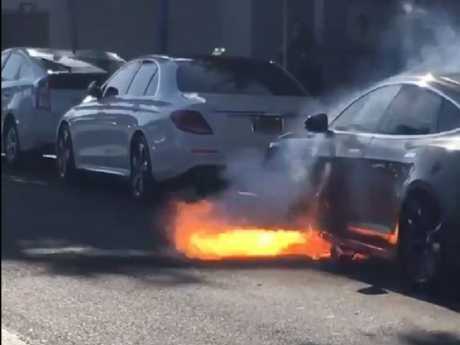 A Tesla being driven by British 13 Reasons Why director Michael Morris has burst into flames while he was driving in Hollywood. It’s one of a series of incidents involving the company’s electric cars. 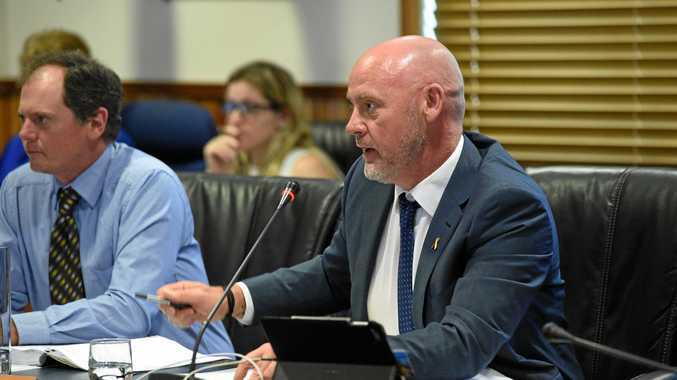 "There may be considerably more to this situation than meets the eye, so the investigation will continue in depth this week. We need to figure out if he was acting alone or with others at Tesla and if he was working with any outside organisations," he wrote. "As you know, there are a long list of organisations that want Tesla to die. These include Wall Street short-sellers, who have already lost billions of dollars and stand to lose a lot more. Then there are the oil & gas companies, the wealthiest industry in the world - they don't love the idea of Tesla advancing the progress of solar power & electric cars. "Don't want to blow your mind, but rumour has it that those companies are sometimes not super nice. Then there are the multitude of big gas/diesel car company competitors. If they're willing to cheat so much about emissions, maybe they're willing to cheat in other ways?" 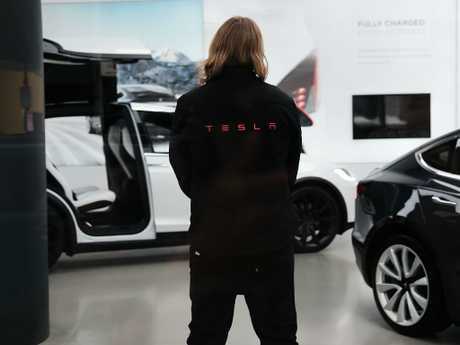 The move comes one week after Tesla cut almost 10 per cent of its workforce even as it declared it would soon be able to roll out 5000 Model 3 electric cars each week. It's an important goal intended to move Tesla into profitability. "Please be extremely vigilant, particularly over the next few weeks as we ramp up the production rate to 5k/week. This is when outside forces have the strongest motivation to stop us," Musk wrote.